When choosing a senior care facility for an aging relative, it’s important to weigh your options carefully and be certain that the facility can meet the needs of your loved one. You must do your research and inquire about their services so you can rest assured that you’re leaving a person dear to you in the hands of someone who is willing to go the extra mile to make your loved one’s remaining years productive, happy, and meaningful. Assisted living offers 24-hour supervision and assistance. Meals and health care services are also provided in a home-like setting. CCRCs provide a full range of services and care depending on what a senior resident will require over time. Services are usually provided in one of three main stages: living, assisted living and skilled nursing. Long term care provide care services for people who cannot be cared for by their family or members of the local community. The services they offer are professional nursing care, rehabilitation services, and assistance with daily living along with others. Keeping residents safe and well cared for is a top priority for most senior care facilities. As such, be sure that residents are given 24-hour support and access to care when needed. This full-time emergency call system gives residents the confidence and assurance that they can be as independent as they want to be without the constant fear of being seriously injured or ill.
To determine if a facility offers these services, ask if they utilize the latest health and monitoring systems available today. These technologies can be quite useful when tracing residents’ care habits and activities, as well as their health and well-being on any given day. Most senior care facilities provide every resident with at least two hours of personal care and assistance with daily activities. As part of this service, care providers assist the residents with daily tasks such as taking a bath, getting dressed, and eating meals. Residents benefit from having the option to set up their schedule for when their daily personal care needs will be fulfilled. Another recommended service is housekeeping and laundry. Staff should be available to provide cleanup services for up to 24 hours a day to help with spills, toileting accidents, and other related incidents. Aside from this, residents should also be provided with weekly housekeeping services to change bed linens, wash and fold laundry, and keep their rooms clean and organized. Daily meals are a given. Depending on personal preferences and the resident’s needs, they can either have their meals delivered to their room or eat food in a cafeteria-style dining area. You may also choose a facility that provides customized meal offerings to cater to your loved one’s tastes as well as any medical conditions or dietary restrictions they may have. It is important that the food served is both healthy and tasty. A facility should always have a wide variety of food available that residents can choose to eat, and the monthly menu should have various options as well. One example of creative food services can be seen through the meals served by CareOne’s culinary team. The CareOne chefs partnered with Jersey Fresh, a program created by the New Jersey Department of Agriculture, to bring fresh fruits and vegetables to each care facility. Then, the culinary team cooks each meal from scratch, using the finest farm-to-table ingredients, to develop chef’s specials, seasonal dishes, and fresh desserts for regular daily menus. For special events, the chefs will create monthly themed meals or four-course elegant dinners. Many of the staff members can work directly with the residents to make new menus or plan a special celebration. The care facility you chose should provide nutritious meals that meet the dietary needs of the residents and satisfy their desire for delicious, varied meals that make them feel right at home. Keeping food creative helps keep residents happy. Apart from their health and physical needs, it’s also essential to fulfill the residents’ need for social and emotional connection and mental stimulation. Experts encourage senior care facilities to set up social activities throughout the month. These activities allow residents to entertain themselves and socialize with each other. CareOne, for example, schedules a variety of recreational activities for residents to do. During the summer months, CareOne hosts concerts in The Cupola’s outdoor courtyard, covering all music genres from classic rock to Motown. Various CareOne facilities also host Paint and Sip nights, where residents can enjoy wine and hor d’oeuvres while they paint, and New Year’s Senior Brunch, where residents can eat delicious food and win items from giveaways or recieve door prizes. 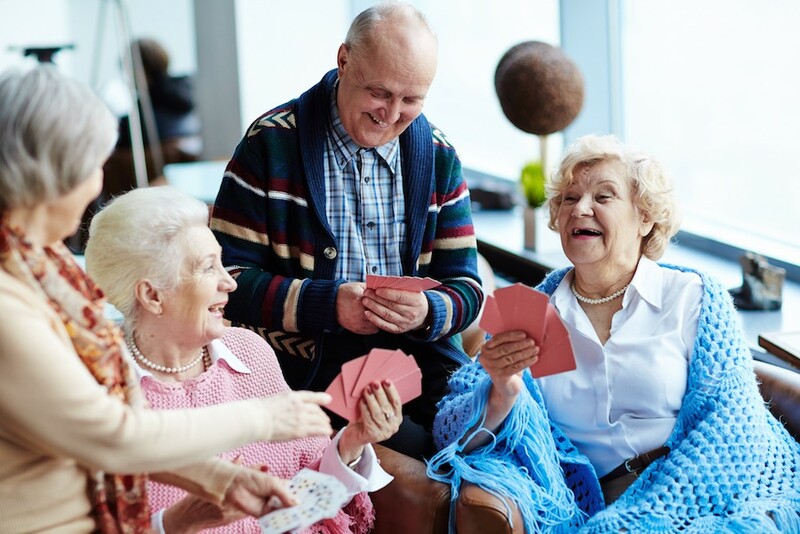 A senior care facility should also provide common living areas, such as libraries and gaming rooms, where residents can bond with each other and seek entertainment. Apart from having common living areas, you might also want to determine if the facility of your choice organizes off-site activities for the residents and/or provides them with wellness classes that teach them yoga, tai chi, and other physically and mentally stimulating activities. Health care services tailored to meet the residents’ specific needs should also be provided. They should include medication management, emergency first aid, pharmacy services, and medical records maintenance. Having a staff physician to provide medical checkups on a regular basis should be considered, too. While there is no such thing as “the perfect senior care facility,” the one you’ll choose should at least take into account the primary needs of residents and serve them accordingly. It should be committed to helping senior residents achieve as much independence as possible, improving their quality of life and enabling their enjoyment of the twilight of their lives in relative comfort and happiness.